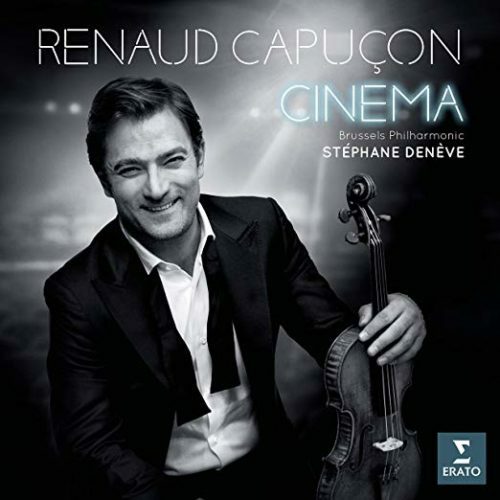 “Film music can be sublime and has attracted some truly great composers,” says Renaud Capuçon of his latest release, Cinema. “This album is something of a dream come true.” The French star violinist’s homage to the silver screen features unforgettable themes – in stunning new arrangements – from Ennio Morricone (Cinema Paradiso, Mission), Nino Rota, John Williams (Schindler’s List), James Horner (Legends of the Fall), to more recent blockbusters (Twilight) and iconic French films (Amélie). Capuçon powerfully and sensitively evokes the magic of the cinema with the aid of the Brussels Philharmonic and conductor Stéphane Denève.